First you will download the 3 file segments. Next, you reassemble the 3 segments into a single full-size DVD file. First, you have to download your 3 parts of the DVD from the chart below. Note that getting all 3 files could take upwards of 13 HOURS to download! Might even take longer than that! Remember, these are BIG files. Make sure you save all 3 parts into the same folder and DO NOT RENAME THEM! Maintaining their names and placing them in the same folder is essential for putting them back together. Note you need ALL THREE parts or your DVD will never work. The download process is the most "hairy" step. If any of the 3 files get corrupted while downloading, the files will never stitch back together, and the DVD won't work. Since you can't know which of the 3 files were corrupted, you will likely have to start all over and download all 3 again. Hey, you're blazing the frontier of emerging Internet technology though! It's an adventure! Have fun with it! So, once you download the 3 files successfully onto your system, breathe a sign of relief... Then pray they are not corrupted. WARNING TO WINDOWS VISTA USERS: Some people have reported that Windows Vista will change the file extentions to .ZIP for the second and third files. Do NOT allow Windows to change the filenames when you save the files. sk8DVD.zip 911MB 38hrs. 8hrs. 3hrs. 2hrs. 1hr. 2min. sk8DVD.z01 1.5GB 64hrs. 14hrs. 5hrs. 3hrs. 1.5hrs. 4min. sk8DVD.z02 1.5GB 64hrs. 14hrs. 5hrs. 3hrs. 1.5hrs. 4min. Remember You MUST Successfully Download All 3 Files!!! ONLY DOWNLOAD ONE AT A TIME! After you download all 3 files, you need to glue them back together. Remember, they must be IN THE SAME FOLDER on your computer WITH THEIR ORIGINAL NAMES or they won't stitch back into one file. Make sure you have your file extensions turned on. If you do not know what that means, please look it up. Here is a link to help you - turn on file extensions. Click on "sk8DVD.zip" and extract the file "LEARNTOSKATE.iso" and it should automatically start the process of reassembling the parts. COMPUTER GEEK TIP (for those who are computer-savvy): The files are simply a series of segmented .ZIP files. It should go back together no problem since the file is self-extracting. You MUST have WinZip 9 or higher. Once the uncompression is finished, now you should have the full DVD file on your computer called "LEARNTOSKATE.iso"
Use your DVD burner software to create your own DVD from the "LEARNTOSKATE.iso" file. We can't really give you instructions for this step because there are many, many different DVD burning programs. Just look up in your software manual or search online for directions on how to make a DVD from a .ISO file using the software you own. The process will be similar to making a copy of the DVD. 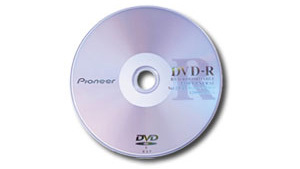 For instructions on how to copy the DVD on Macintosh, click here. 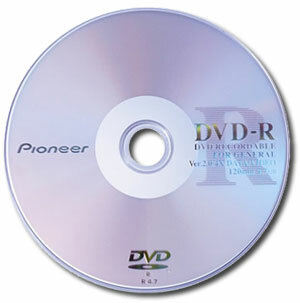 For instructions on how to copy the DVD on Windows, click here. Before offering these files for download, I personally tested the files on Windows systems. I tested them on 2 different computers at my place and at friends houses. They all worked fine. People around the world have emailed me and told me they successfully downloaded the files and made a DVD from them. So, I know for certain the files are fine. Simply double-click on sk8DVD.zip and the files will automatically go back together. That's about it. Those 4 things are the only things that go wrong, as far as I have discovered. If you are still having troubles, try getting a friend to download the files for you, or just order a copy of the DVD. Good luck and have fun skating!